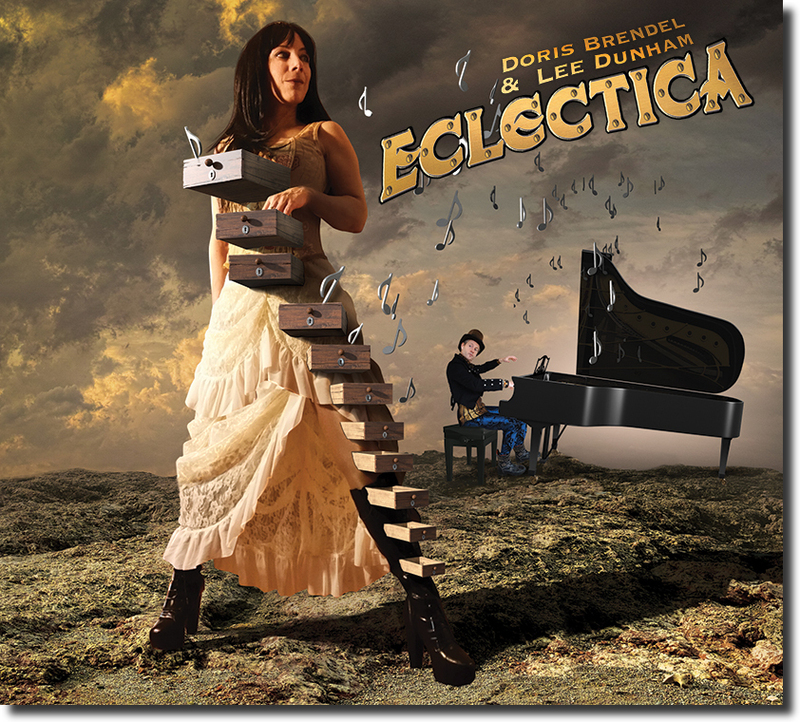 Click here for the CD of ‘Eclectica’ now! I rather have the CD Presentation Box! I rather have the Download! Doris Brendel is largely recognised as one of the most innovative alternative artists of the last decade encompassing alternative and progressive rock, pop, blues, celtic, singer-songwriter and world influences and appealing to the ‘intelligent alternative music fan’. With her unique and distinctive husky voice she stands out in a league of her own. Along with producer Lee Dunham, Brendel creates Alternative Rock landscapes impossible to categorise. Think Janice Joplin and Skunk Ananse getting down with the Beatles, Muse and Dream Theatre. The production on ‘Eclectica’ is exceptional and features an array of musicians and instruments, including a solo by Wishbone Ash’s Andy Powell. The CD contains additional link tracks not available on the download version. A hand-made limited edition Presentation Box is also available. So click the order button below and order your copy of ‘Eclectica’ and find out what the reviewers are shouting about! CDs will be sent within 48 hours of order. Postal charges vary depending on the country ordered from.